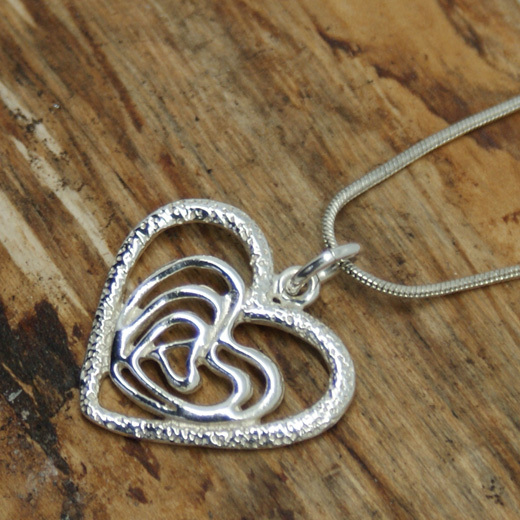 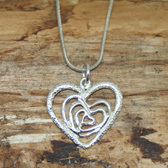 A sterling silver heart pendant from one of Pura Mexico's leading designers. This pretty pendant has hearts within an outer heart shape and comes complete with a free 18 inch silver plated snake chain to create a beautiful necklace. 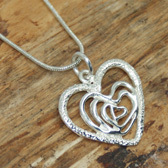 It is sure to uplift any outfit.